Vancouver, BC, February 15, 2018 – SilverBirch Hotels & Resorts is proud to announce that Home2 Suites by Hilton® West Edmonton received the Guest Review Award from Booking.com. Based on more than 110 million reviews, the award recognizes hotel and other rental properties with the highest guest review scores. 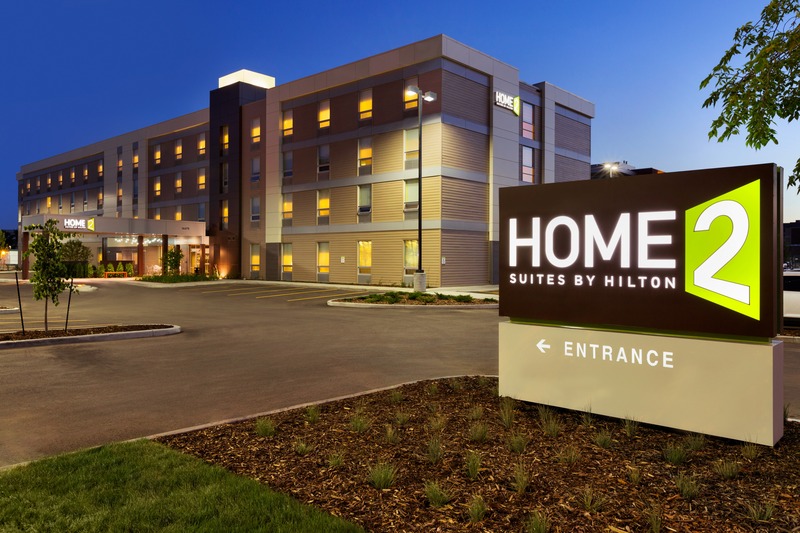 Home2 Suites by Hilton® West Edmonton scored a 9.1 out of 10 from guest reviews in 2017. The annual Guest Review Award honours hotels for hospitality excellence as measured by their overall guest review score. Hotels recognized must have an average review score of 8 or higher out of 10 as displayed on Booking.com by December 31, 2017. Home2 Suites by Hilton, one of the fastest growing brands in the history of Hilton Worldwide, is a mid-tier, all-suite award-winning extended-stay hotel concept designed to offer stylish accommodations with flexible guest room configurations and inspired amenities for the cost-conscious guest. With a commitment to environmentally friendly products and hotel operations, Home2 Suites offers complimentary breakfast selections with hundreds of combinations; innovative and customizable guest room design; laundry and fitness area; complimentary Wi-Fi Internet access; multiple outdoor spaces; 24-hour business center; expansive community spaces; and a pet friendly environment. With Hilton’s award-winning digital check-in with room selection tool, Hilton HHonors members can log into their accounts and choose their exact room from a digital floor plan, as well as customize their room prior to arrival with amenity requests. The service is available for 650,000+ rooms at more than 4,100 properties across 11 brands worldwide. Visit www.home2suites.com for additional information or www.home2franchise.com for franchising opportunities.